Not everyone has a spacious backyard, but that doesn't mean you can't give your outdoor space its own unique flare. Check out our favorite ideas for amping up a smaller yard. Use cinder blocks to create a small table or bar for your outdoor space, and use the holes in the blocks for planting. It's a 2-in-1 deal! 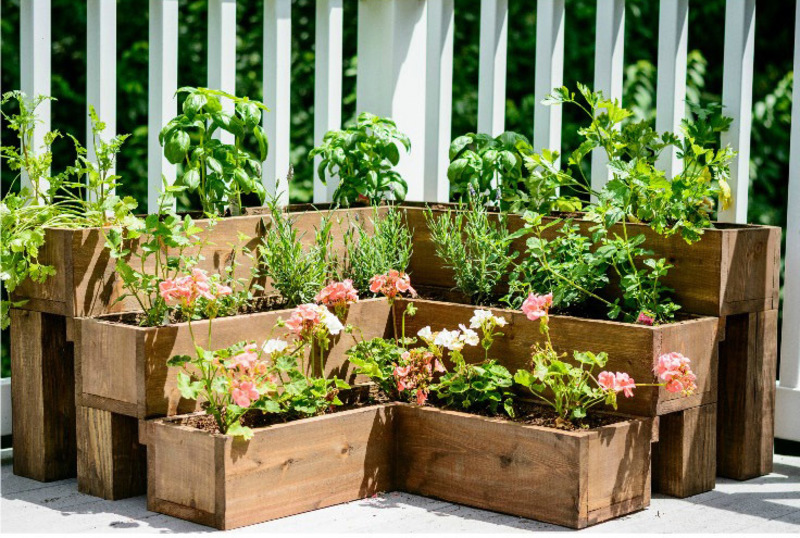 Paint an old pallet and show off your favorite flowers near your front door or in a corner of your garden.